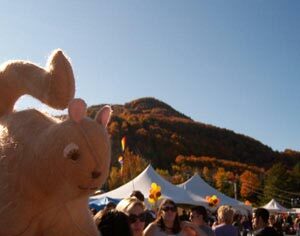 Last weekend we went up to Hunter Mountain for Oktoberfest with a couple friends. Chippy went along for the fun! There were lots of people there! And a band up in front of the lodge. Are they really playing “Sweet Home Alabama” ? This is Oktoberfest in upstate NY, right? 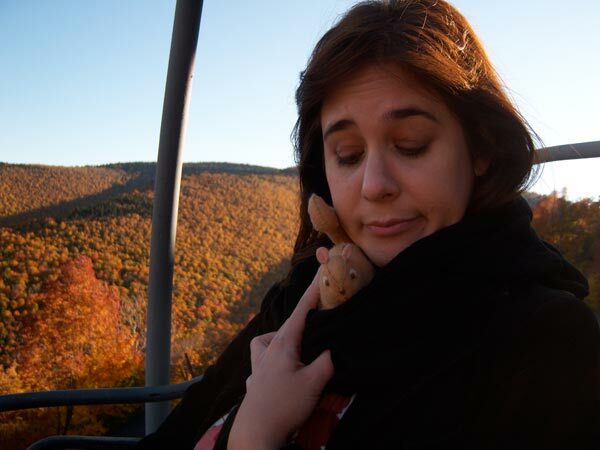 I was too scared of heights, but my husband and our friend The Filmonista took Chippy up on the ski lift to enjoy the view. Chippy don’t jump, we’re too high up! Much cozier to be safe in her scarf! It was getting late in the day, time to get back down to the ground. 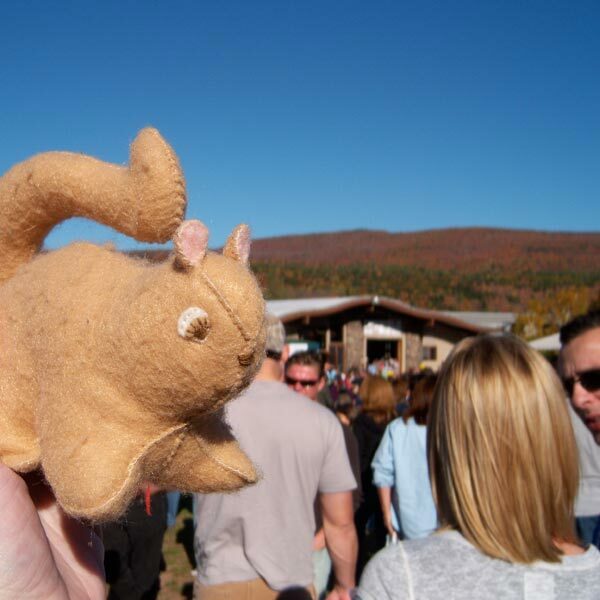 Chippy thought they should go to the beer tent after braving the ski lift. Time to take this little squirrel home! 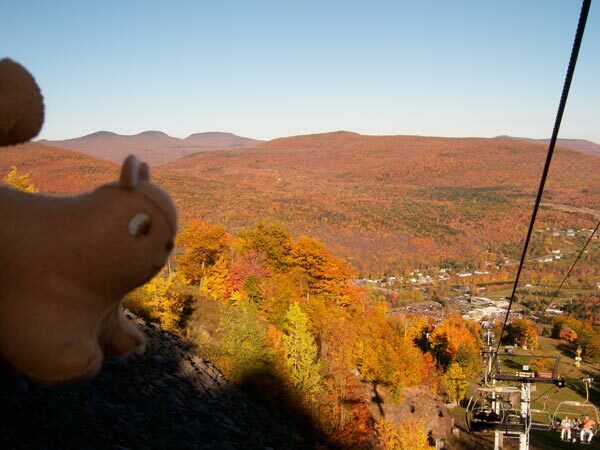 Would you like your own little squirrel to take out on adventures? 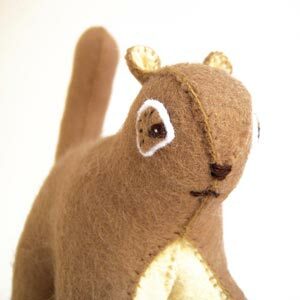 You can now find this little guy, Acorn the Tiny Squirrel Plush in my shop! he’s adorable and the pictures are GREAT! So cute and love the new plush! 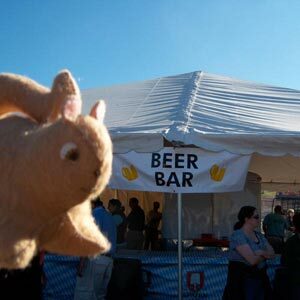 aww looks like chippy had a good time! how cute! don’t let his size fool you… he sure can hold his Spatan! 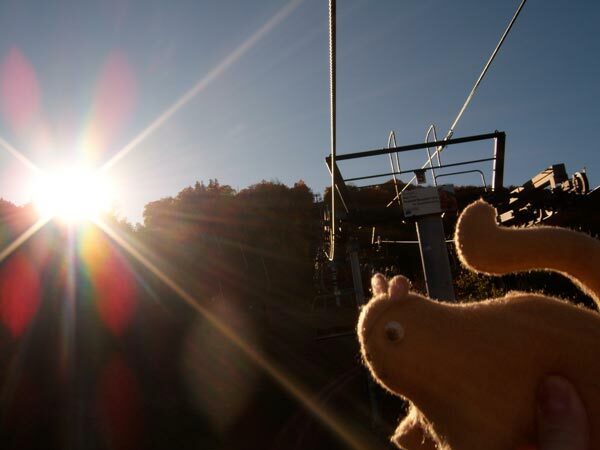 Looks like Chippy had a great time!